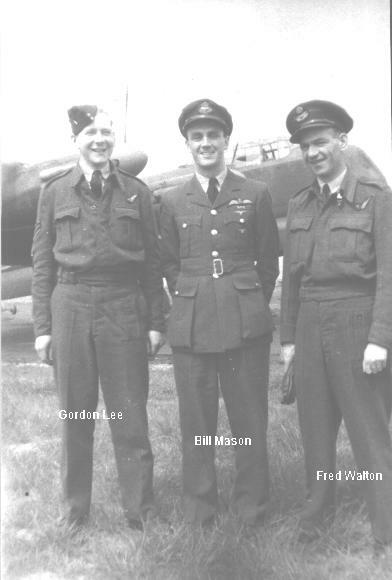 Thanks to Peter Neal, son of F/L William George Neal, for the names of people in the photo. 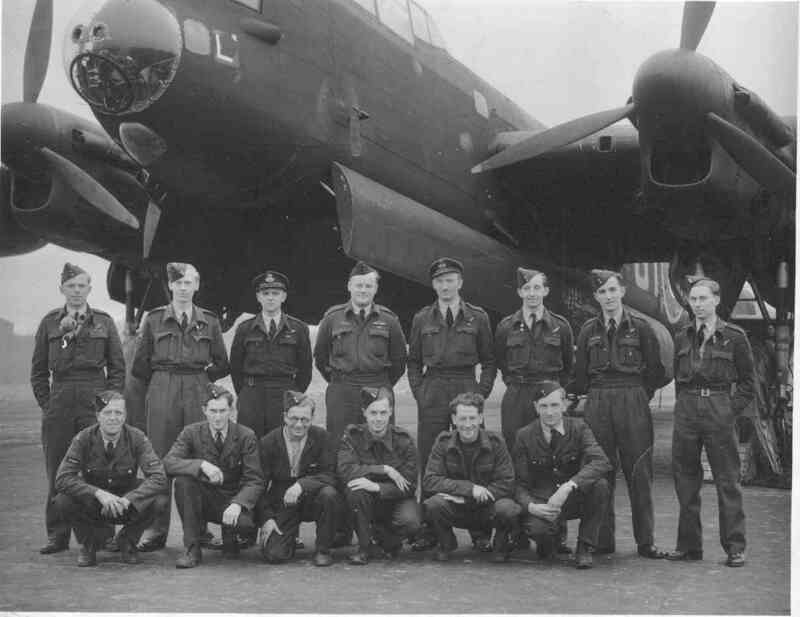 This crew started operation on 22 June 1944 and operating continuously until the ceasation of hostilities in Europe, totting up 53 sorties without ever turning back, this despite twice having a gun turret out of service. 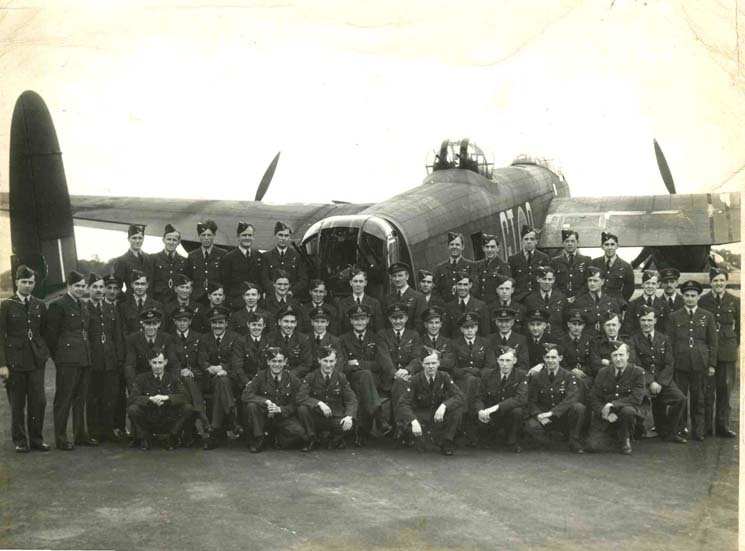 They served with 625 Squadron in One group (11 sorties) before joining 156 Pathfinders Squadron (46 sorties). 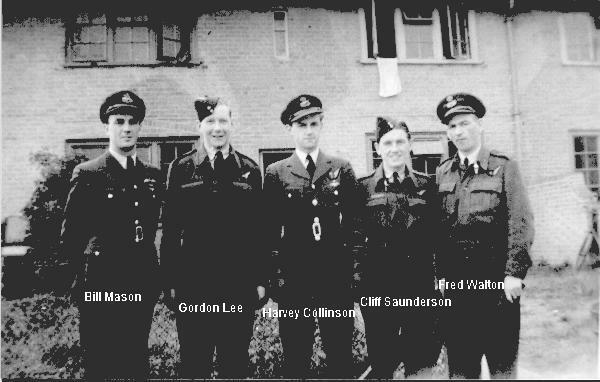 Four of the crew, F/L WEB Mason (pilot), P/O FV Walton (Flight Engineer), F/O HJ Collison (Navigator) and F/S AG Orchard (Rear Gunner) are known to have been awarded the D.F.C. 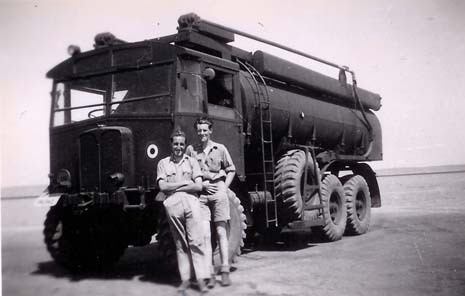 and Cpl Alf Barnes (his drinking compaion) is next to him. 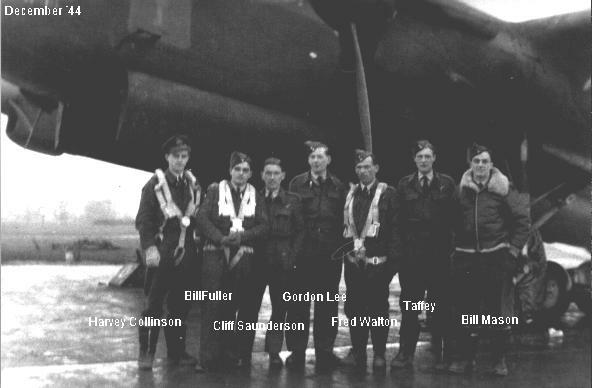 156 Squadron ground crew 1944/45. LAC Mick Lennon is on the back row far right. 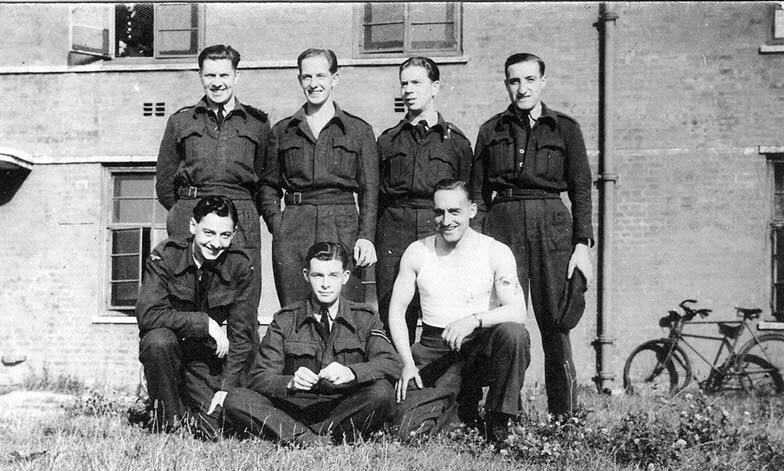 Cpl Alf Barnes seated middle front.  Also anyone remember me ? 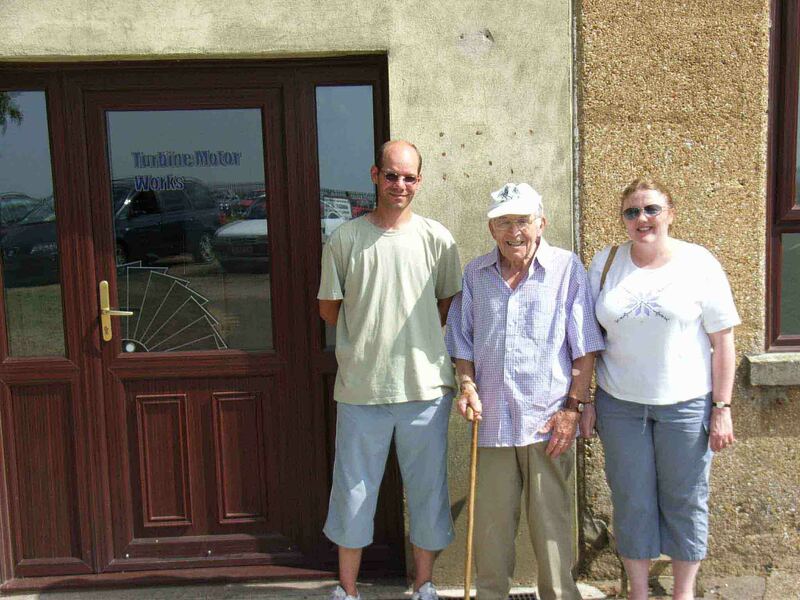 This picture was taken on the 19th May 2006 outside Hangar 2 at Upwood. 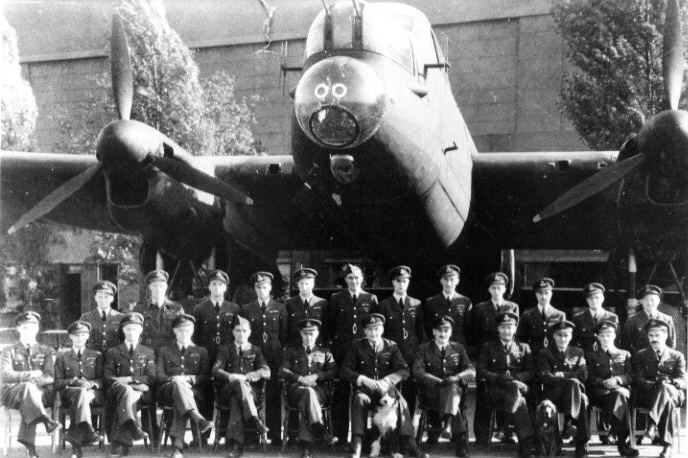 On the 9th of September 1944, an accident happened when the ground crew of 156 squadron were removing the bomb load from Lancaster III ND978 GT At 11.20 the bombs load exploded killing 6 people. 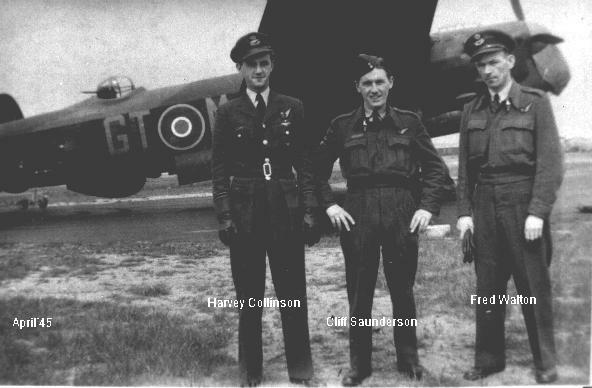 Lancaster ND978 GT brought back the bomb load from le Havre due to most hazardous circumstances, flown by Squadron CO W/C/ T L Bingham-hall DFC. 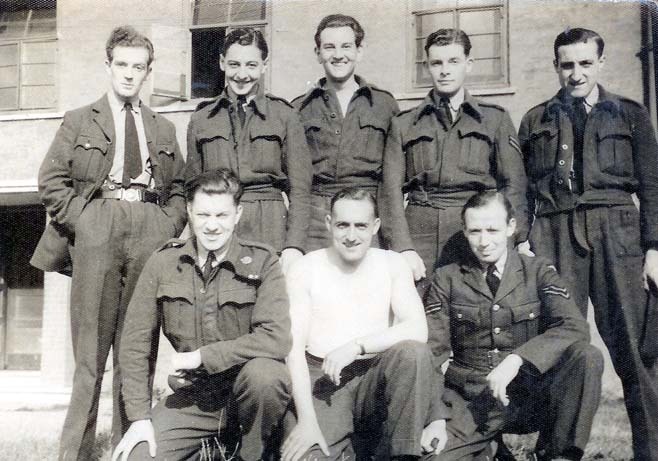 156 Squadron Royal Air Force Volunteer Reserve. 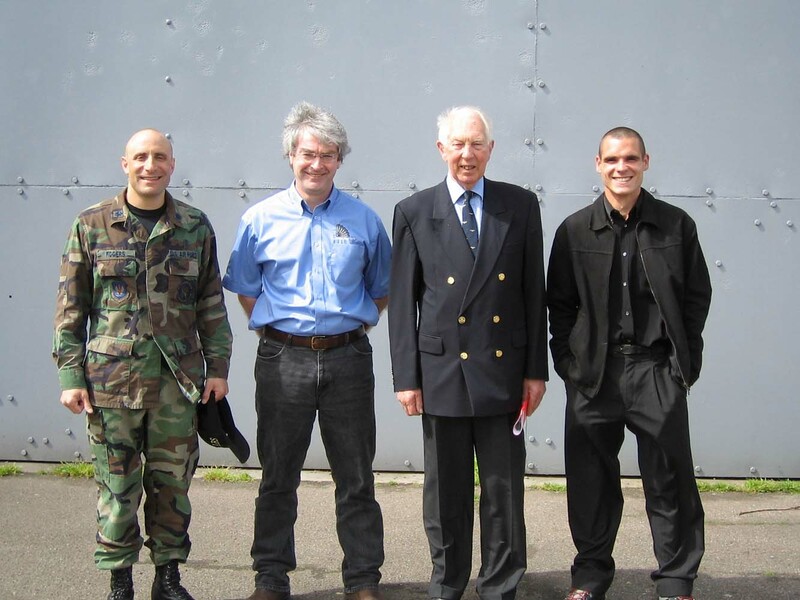 Many thanks to Michael Mole (son of Cpl. James Albert Mole) for all the information and photographs on this page. 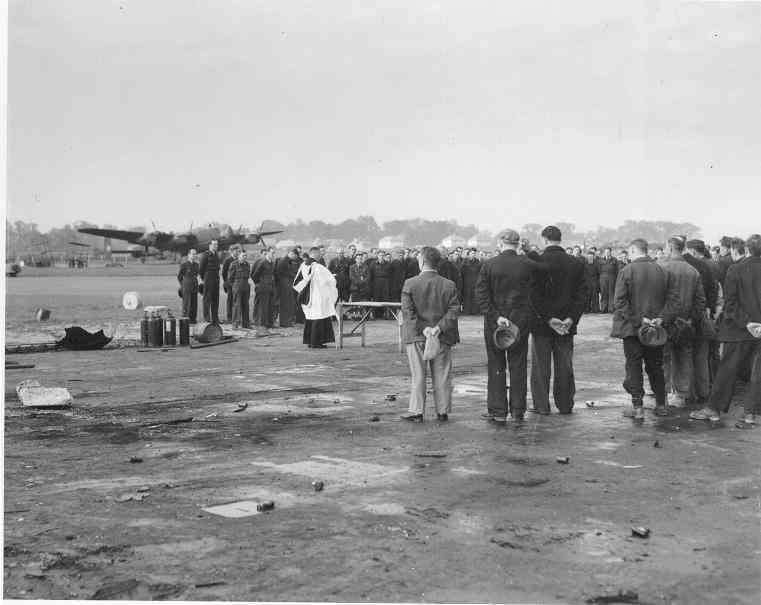 Saturday 9th September 1944. Age 42. 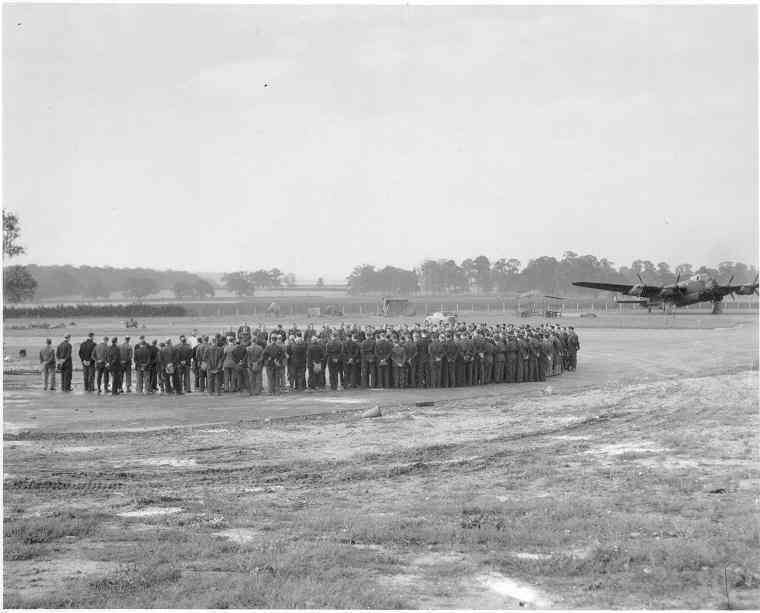 Saturday 9th September 1944. Age 23. 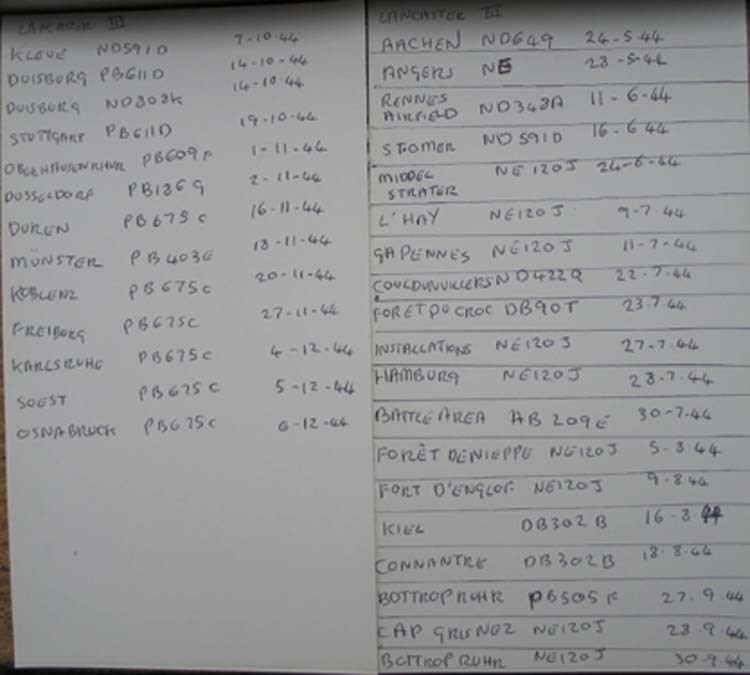 Saturday 9th September 1944. Age 25.